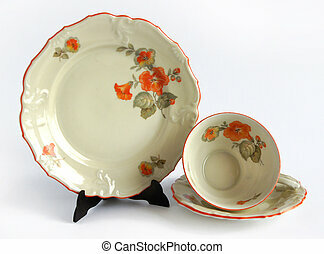 Antique cup saucer and plate isolated. 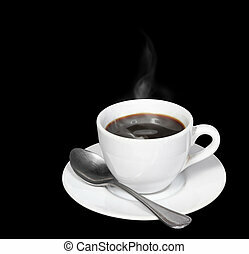 Hot coffee and smoke in white cup with spoon isolated on black background, clipping path. 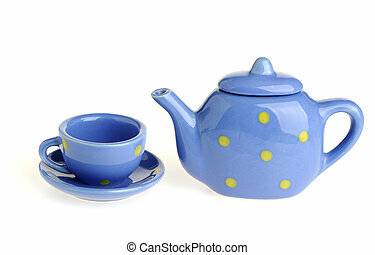 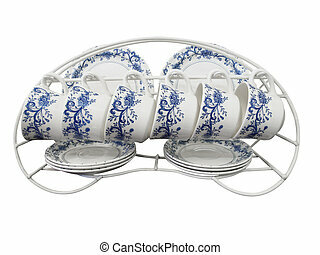 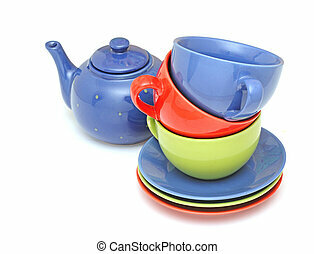 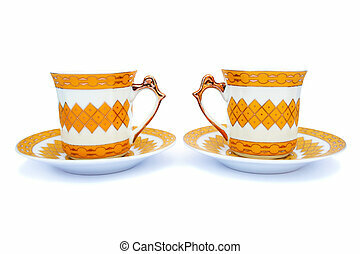 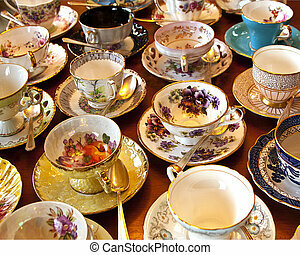 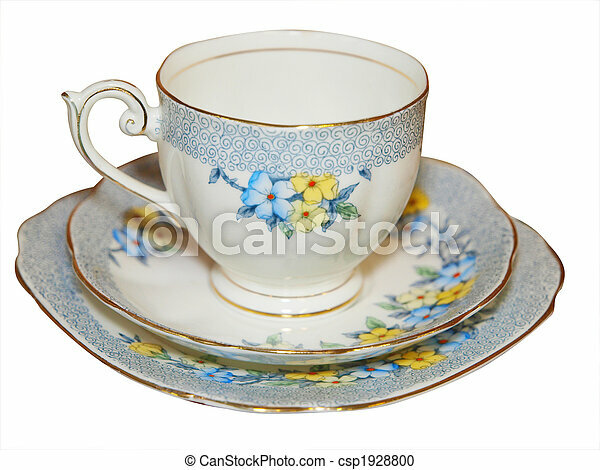 Cups with dishes isolated on white background. 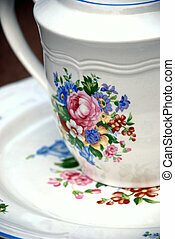 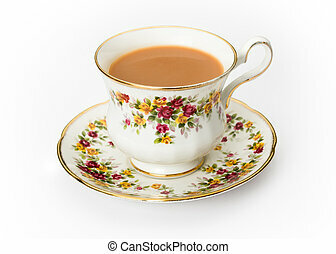 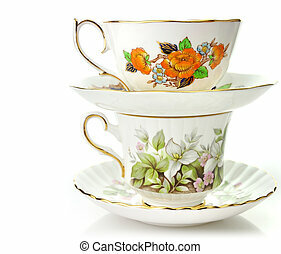 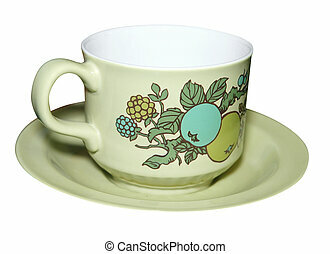 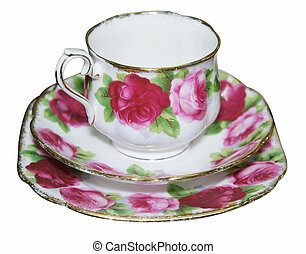 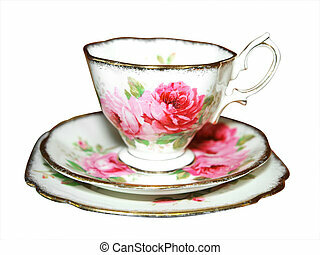 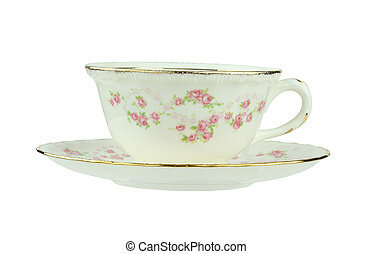 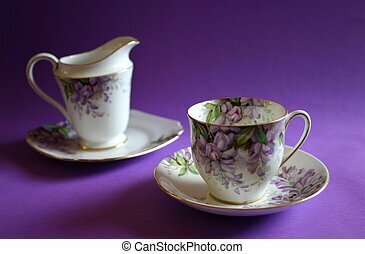 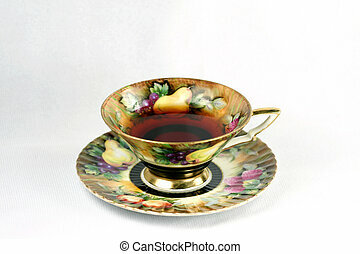 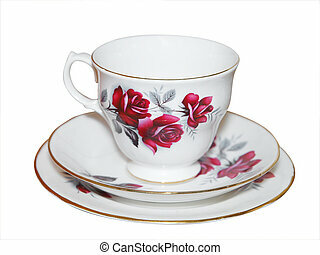 Flowered antique tea cup and saucer isolated on a white background with clipping path. 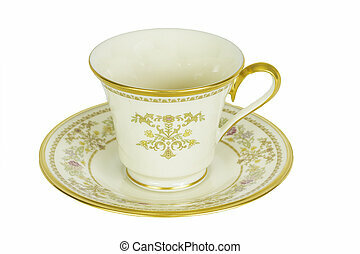 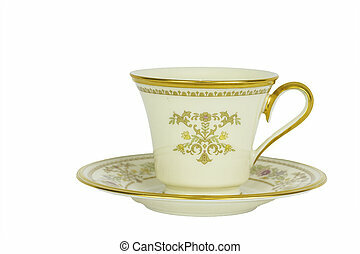 Antique Tea Cup and Saucer Isolated on a white background. 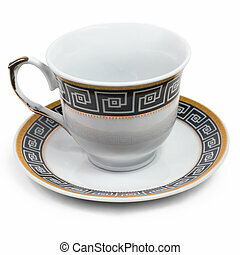 The background - specifically by the handle of the cup - it is a darker brown color.